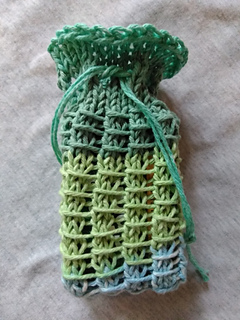 This is my first pattern in a series of soap sacks. 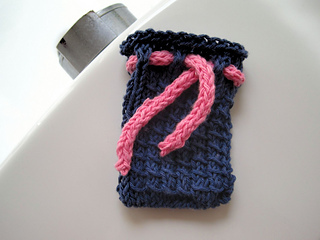 It’s a very easy 2 stitch, 2 row pattern and you can complete in a couple hours. 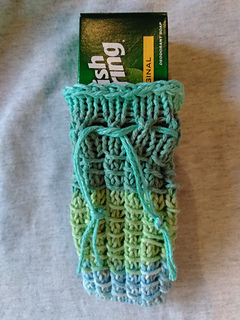 I made this pattern to give soap to the homeless, but you may use it however you like. It includes links to special techniques. This pattern has not been tested, so please message me if you find any errors or have any questions.